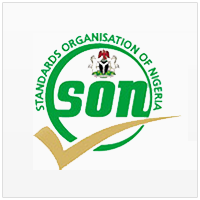 The Standard Organisation of Nigeria (SON) has sealed premises of some tyre marketing companies in Awka and Onitsha in Anambra for distributing suspected substandard tyres. Head of SON in the state, Mr Samuel Ayuba, who led a team of officers on the operation on Tuesday, said that the raid was part of effort to check further circulation of substandard tyres in the country. Ayuba said that the tyres were brought into the country as new and were being sold as such, but explained that the outer layer of the tyres peeled off after covering some distance in journeys. He said that it was based on reports of such incidents that the organisation decided to carry out investigation on the complaints. “The truck tyres they sold to some public user were very substandard; a particular transporter bought tyres worth N1.5 million from them and when they put the tyres in their vehicles, just about 50 miles the tyres started peeling off and it’s not one, not two, not three; they had to discontinue the use of those tyres and the complaint came to us. “Luxury buses carry a lot of people; this is a bus that can carry up to 50, 60 people at a go, so it poses a threat to the public and if we had not done something about it as quickly as possible, these tyres will get far in this country. Ayuba advised consumers of products which did not give them value for money to report to the agency as it was ready to sanitise the market. He warned that anyone who violated the seal on the companies would be made to face the law, saying that SON’s action was on the order of the Federal Government.